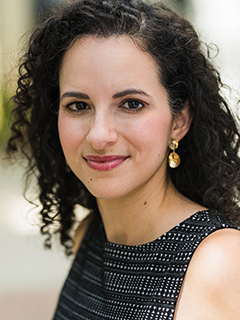 Marysol Quevedo, a native of San Juan, Puerto Rico, is Assistant Professor of Musicology at the Frost School of Music at the University of Miami. She received her Ph.D. in musicology with a minor in ethnomusicology from Indiana University. Her research interests include art music in Cuba after the 1959 Revolution and more broadly the relationship between music composition and performance, national identity, and politics in Latin American music scenes. Quevedo’s chapter, “Experimental Music and the Avant-Garde in Post-1959 Cuba: Revolutionary Music for the Revolution,” will appear in the forthcoming collection of essays Experimentalism in Practice: Perspectives from Latin America from Oxford University Press. She has written several entries for the second edition of the Dictionary of American Music and is a contributor to Oxford Annotated Bibliographies. Prior to moving to Frost School of Music, Quevedo served as Program Specialist for the Society of Ethnomusicology. Quevedo has presented at the national meetings of the American Musicological Society, the Society for Ethnomusicology, the Sociedad Chilena de Musicologia, the Canadian Association of Latin American and Caribbean Studies, Florida International University’s Cuban Research Institute’s Cuban Studies conferences, and the University of Miami’s Cuban Heritage Collection’s New Directions in Cuban Studies conferences, among others. She is also an active member of the Latin American and Caribbean Music Section of the Society for Ethnomusicology and the Cold War and Music Study Group of the American Musicological Society. “The Minnesota Orchestra Cuba Concerts and What They Say about Diplomacy.” Cuba Counterpoints: Public Scholarship about a Changing Cuba. Ed. Ariana Hernandez-Reguant, (May 28, 2015). Frances Aparicio, Rafael Aponte Ledee, Héctor Campos Parsi, Willie Colón, Catalino “Tite” Curet Alonso, Jack Delano, Oscar D’León, Noel Estrada, Osvaldo Golijov, Juan Gutiérrez, Héctor Lavoe, Andy Montañez, William Ortiz, Angel G. Quintero Rivera, Daniel Santos, Carlos Vázquez, Orestes Vilato. Grove Dictionary of American Music, 2nd ed. (Fall 2013). Book Review “Musics of Latin America, eds. Robin Moore & Walter A. Clark.” Resonancias: Revista de investigación musical. No. 32, June 2013: 155-159.